so i'm really excited for today. it's going to be full of celebration. i'm lucky enough to be surrounded by people who love and care for us and who are thrilled that we're having a baby. i've actually got two groups of people wanting to shower us with this love. the first is a wonderful group of ladies from church. the second, my most favorite friends. i can't wait for both of our baby celebrations to commence. full-documentation will happen and pictures will be shared! for now though, it's about time i update you all on the baby bump progress. these pictures are from a few weeks ago. (i'm currently at 34 weeks and some change- but the pictures from 33 and 34 weeks have yet to be developed, so they will have to wait till a later date to be posted). for now though, here are some of my favorites from week 32.
at 32 weeks baby was aprox 3.75 lbs and 16.7" in length. websites all over said he was things like a jicama or eggplant, but i thought that it would be fun to really show the difference in his growth by holding a basket of apples equivalent to his weight. (back at the beginning there was a week when he was the size of just one single apple) kinda fun to compare, eh? the dress is from a vintage shop in slc called Decades. 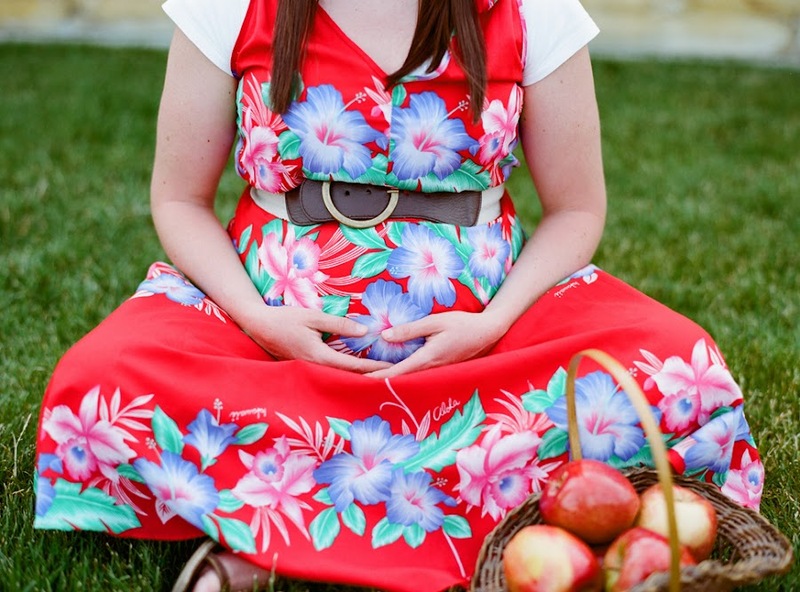 i bought it pre-pregnancy and fortunately for me, it's been one i've still enjoyed wearing. it's the best on a warm summer day. so light and breezy! i really enjoy these posts! looking forward to when you baby is born! The best part is that your still rocking the belt! I loved getting to the 32 week milestone. Can't turn off my high risk OB brain and 32 weeks is a good week to get to and then pass. Yeah! 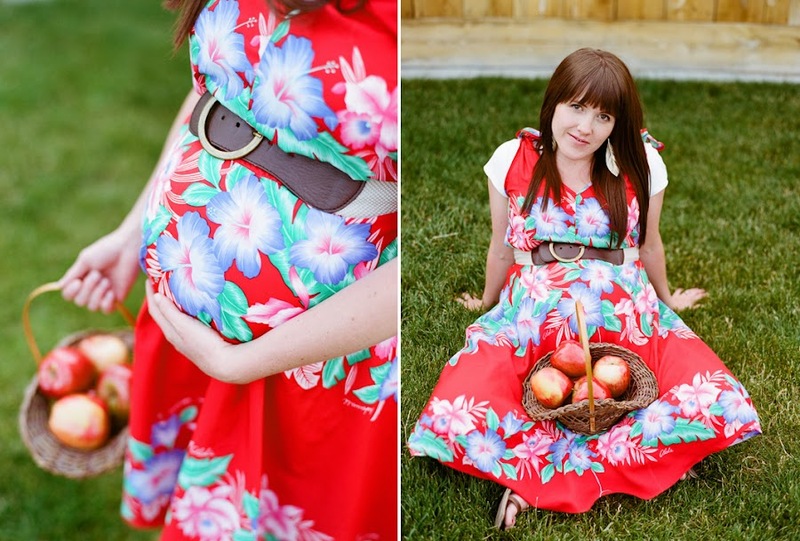 so adorable I love your baby bump posts.. 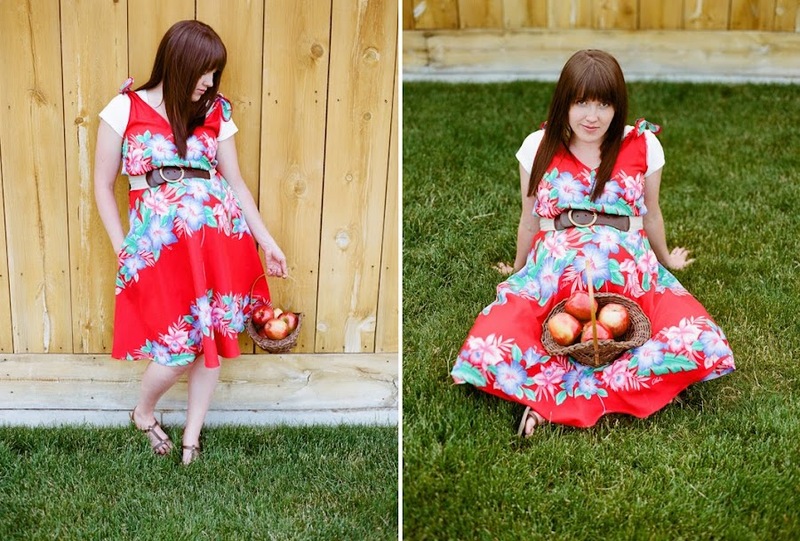 Your pregnancy images are SO LOVELY! I love the concept so much!!!! love the dress my dear! Love the weight of the baby in apples! So sweet! I can't believe we're almost to the end!!!! Eeeeekkkk!!!! SO exciting! I had my shower this weekend but wasn't able to capture any pics, I was too busy mingling with friends and fam, which makes me a bit sad actually. I hope you had a lovely time and felt blessed and loved! I am getting more and more excited to also hold this baby!